The theme of Issue No. 15 is inspired by the essential quality of an object, form or symbol that we recognize as invariable, despite inverse transformation. 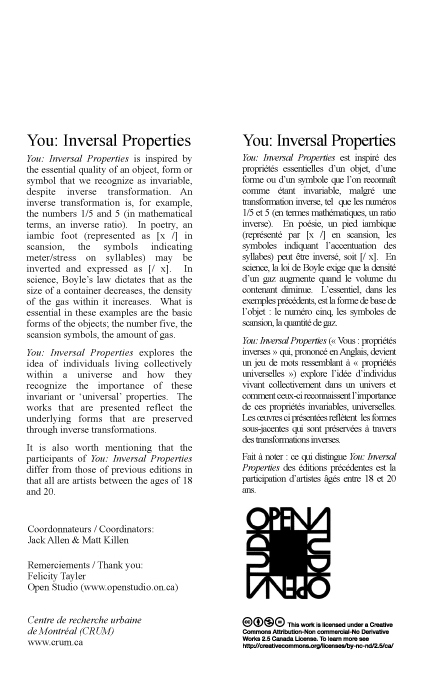 You: Inversal Properties explores the idea of individuals living collectively within a universe and how they recognize the importance of these invariant or ‘universal’ properties. 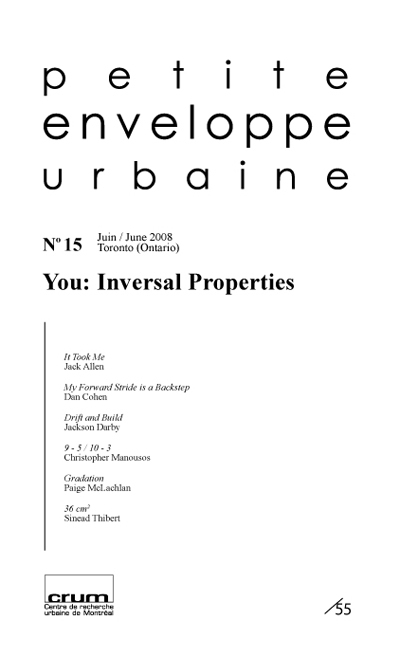 The works that are presented in this issue of the petite enveloppe urbaine reflect the underlying forms that are preserved through inversion. 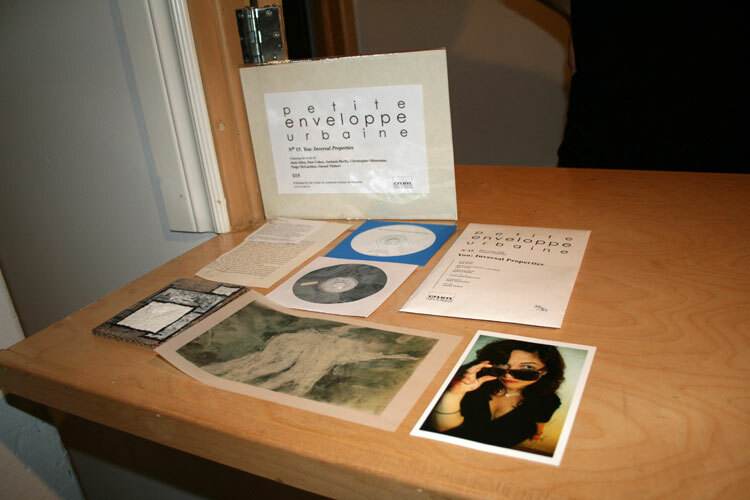 This particular edition of the Enveloppe, coordinated by Jack Allen with the assistance of CRUM member Matt Killen, exclusively features the work artists between the ages of 18 and 20. This entry was posted on	June 24, 2008 at 2:11 pm	and is filed under CRUM Projects, Publications.